Hyundai has made the official introduction of its 2019 Hyundai Veloster N for the North American market. It will be the first N performance variant to be made available in our market. Production of the model is starting this month at the company’s plant in Ulsan, South Korea, and the first units should make their way to Canadian dealers towards the end of 2018. We should know more pricing as we get closer to launch. Hyundai is projecting to import 200 units of the 2019 Veloster N to Canada. The vehicles can be pre-ordered online at Hyundai Canada’s website. Customers will then be contacted by their local dealer to complete the order, which requires a fully refundable deposit of $1,000. 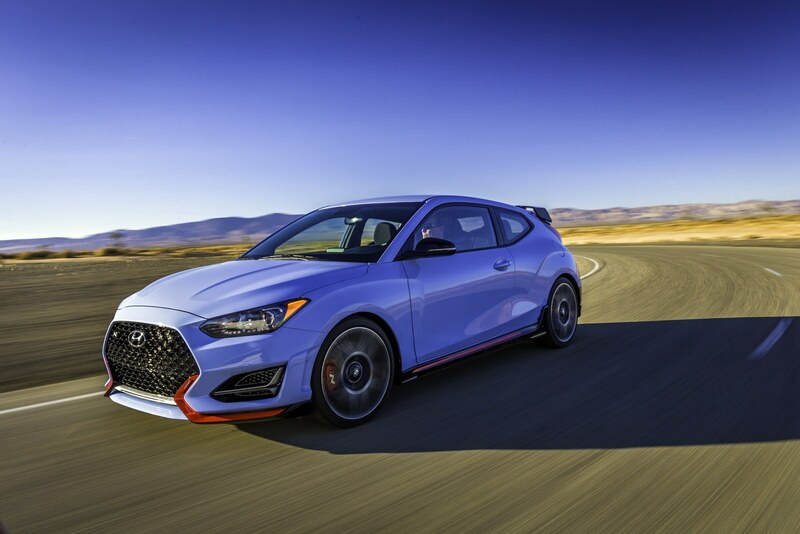 Like the regular version of the 2019 Veloster, the high-performance version is built on an all-new architecture developed by Hyundai. The manufacturer chose the legendary Nürburgring circuit in Germany to make the official presentation, to demonstrate the high-end performance capabilities and durability of the Veloster N.